Proper pub fayre, prepared with love from fresh seasonal ingredients, from our neighbouring farms, growers and producers. We won’t cut corners and make sure that we choose all of our ingredients carefully, always thinking about the best way to serve them for you to enjoy. Our food menu is evolving all of the time, we try to keep the pub classics such as Steaks, Fish & Chips, Burgers and Pies available daily and our Specials Board changes every day. 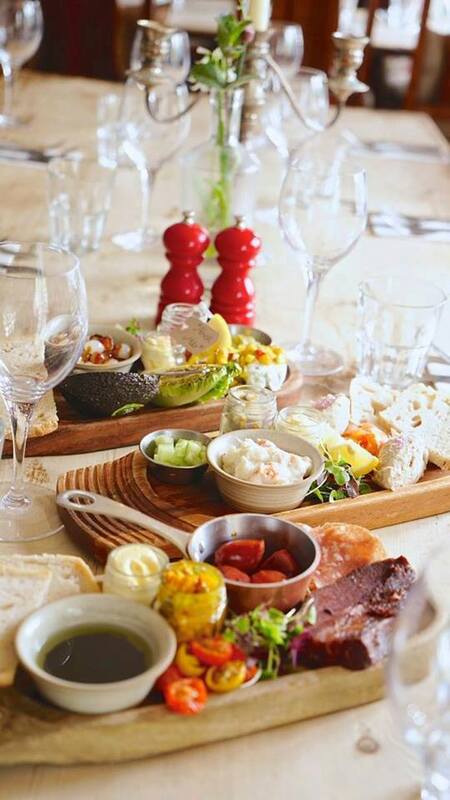 We take great pride in serving our guests with a selection of handpicked local ales and source as many of our ingredients for our menu from local farmers, butchers, bakers, fruit growers and even wine makers! 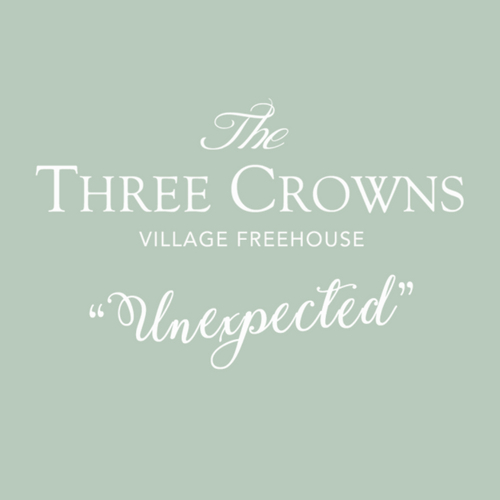 Everyone is welcome at The Three Crowns be it for a coffee, a pint, glass of wine, bite to eat, meeting friends for lunch or celebrating a special occasion. Lovely pub with beautiful garden and flawless staff, including Teddy the dog. Tim and his team made our Easter Sunday really special, thank you. We were a family party of 10 for Easter Sunday lunch. All thoroughly enjoyed their food, setting and service. We'd thoroughly recommend. Fantastic friendly service. Beautiful pub and fantastic garden. Great venue, great food, great service! Love visiting!! Very good lunch with friendly personal service. We will come again. Staff were very helpful. The children were pleased with their meals. Food was delicious and the service was friendly. Will be back! Very good atmosphere - friendly staff and pleasant surroundings. Food plentiful and good. Could do with another vegetarian option eg the normal (side) veg with grated cheese. The rich chocolate pave was a bot disappointing. Excellent as always and early orders very helpful for speaker and ourselves (4 in all) attending Parish Wildlife Group meeting in the Parish Hall at 7.30pm. Excellent Mother’s Day Sunday lunch - despite being busy the food and service were to usual exemplary standard. Very welcoming host and a very warm friendly atmosphere. Good service with a varied menu. Wine prices reasonable for a restaurant. Very pleasant evening and would certainly go there again. Even the Yorkshire muffins ! were tasty and Ted didn’t eat all my beef ! Just Fabulous, we go every two weeks and the food, team and environment always meets our expectations. Service was very good. Friendly atmosphere. However the meal was overpriced and the amount poor. To be charged £3.75 for a tiny bowl of greens seemed exorbitant. Left feeling hungry and needed to eat when I returned home! Shame that the fine atmosphere was spoilt by a disappointing meal. 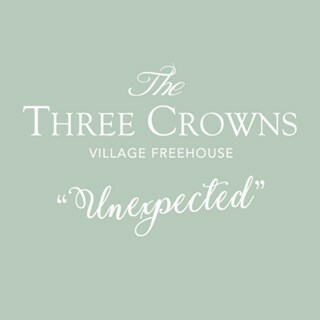 This was our second time at the Crown and we will be back again! A lovely ambience with really tasty food, with our kids eating everything served to them! We were made to feel very welcome, in particular from Teddy who gave us endless attention and cuddles! Thanks for the great service, looking forward to seeing you again soon! As usual, fantastic food and service from Tim and his team. 5 star service, food and atmosphere. What a wonderful dining experience! A really super lunch - we'll be back soon. We were a family of twelve celebrating two birthdays , we had a great time and were made to feel very welcome. Everything from making the reservation to paying the bill was perfect. Nothing was too much trouble, and I hope we weren't"